I would submit with respect that this is a Matter of urgent public importance, and that is the reason for raising this matter today in the House at Adjournment, to enable the whole country to be kept informed of the truth in regard to the processes and everything relating thereto. All people who lived in Sri Lanka, irrespective of their ethnicity, religion, or any other difference, whether Sinhalese, Tamil, Muslim or Burgher made their fullest contribution to the achievement of independence. It is almost 70 years since Sri-Lanka attained Independence from Colonial Rule. Ethnic strife had plagued the Country from shortly after it attained Independence. Pacts entered into between Prime Ministers and the Tamil Political Leadership to help resolve such ethnic strife and enable all Citizens to live together in peace and amity, with equality and justice were not fulfilled by the ruling elite. As a result of such Ethnic Strife and ethnic violence against the Tamil People in the 1950’s, 1960’s, 1970’s, 1980’s and thereafter, up to 50% of the Sri Lankan Tamil population were compelled to leave their own Country largely on grounds of insecurity and take up residence in different countries the world over. Tens of thousands of Tamil families have consequently been divided. 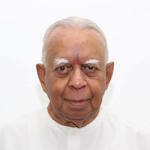 It is relevant to point out that ethnic violence was unleashed against the Tamil people when they made political demands that would enable them to live as equal citizens in the Country. Recurrence of Violence would result in more Tamils fleeing the country. Ethnic Violence against Tamils is an imminent danger until there is political resolution of the conflict. An Armed Conflict emerged. Tamil Youth waged a War against the Sri Lankan State for more than twenty-five years. It is more than Seven years since the armed conflict came to an end. During this armed conflict much suffering was endured by all people in all parts of the Country. Such armed conflict by Tamil youth emerged only after several decades of ethnic violence against the Tamil people. The Conflict was also internationalized, and the issue has been in the international domain. Several resolutions were adopted at the United Nations Human Rights Council and the resolution adopted in October 2015 comes up for review in February /March 2017. Our Neighbour and parent Country India offered its good offices to resolve the issue which Sri Lanka accepted in 1983. An Indo Sri Lanka agreement was signed on 29th July 1987 between Prime Minister Rajiv Gandhi of India and President J R Jayewardene of Sri Lanka which laid down vital contours for a political resolution. There were also several domestic efforts to finally resolve the conflict. These efforts were made after the enactment of the 13th amendment to the Constitution as the same was found to be inadequate and unworkable. During President R Premadasa’s term the Managala Moonesinghe Select Committee proposals, during President Chandrika Bandaranaike Kumaratunga’s term the proposals she made in 1995,1997 and the proposals tabled as a Bill in Parliament in August 2000, the Oslo Communique and the Tokyo Communiqué during Hon Ranil Wickremesinghe’s term as Prime Minister and the speech delivered by President Mahinda Rajapaksa at the inaugural meeting of the All Parties Representative Committee (A P R C) and the Multi Ethnic Experts Committee (M E E C) appointed by President Mahinda Rajapaksa ,and the reports of the said A P R C and M E E C. All these processes took the proposals for sharing power much beyond the scope of the 13th amendment. With the assumption of office of the new Government, Parliament has constituted itself as a Constitutional Assembly, a Steering Committee, comprising of representatives of all political parties in Parliament has been appointed, under the Chairmanship of the Prime Minister, various Sub – Committees representing different political parties have been appointed, and work is in progress for the evolution of a Constitution to resolve the conflict within a united, undivided and indivisible Sri Lanka, with the maximum possible consensus. For the avoidance of doubt, it is hereby further declared that a Constitution Bill shall only be enacted into Law if it is passed in Parliament by a special majority of two thirds of the whole number of the Members of Parliament including those not present and subsequently approved by the people at a Referendum as required by Article 83 of the Constitution. The current 1978 Constitution did not have such consensus, nor did the 1972 first Republican Constitution, have such consensus. The failure to evolve a Constitution based on such consensus has been the reason for the failure of such Constitutions. Issues relating to transitional justice in respect of which resolutions have been adopted at the Human Right Council also need to be addressed. These too are issues of urgent public importance in respect of which the Country needs to be kept informed. It is estimated that over one hundred and fifty thousand Tamils were killed as a result of the conflict and that recurrence of violence could result in more Tamil people being killed and more Tamil people fleeing the Country. While we on our part will extend the maximum co-operation to the satisfactory conclusion of these processes and to the non – recurrence of violence, it is absolutely essential that these processes be taken forward in a genuine and purposeful manner, so as to ensure permanent peace with justice and equality to all citizens. It is fundamental that all extend their cooperation to enable the successful conclusion of these processes.